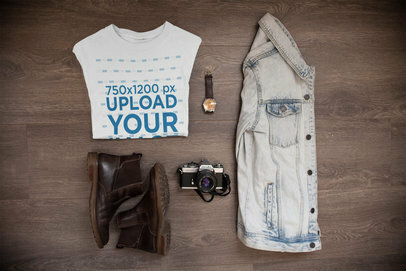 Create attractive visuals to promote your clothing brand online! 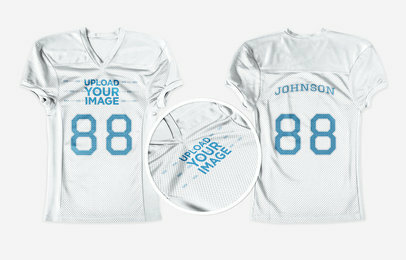 With a little help from Placeit's leggings mockups, you can showcase your designs in a professional and cool way! 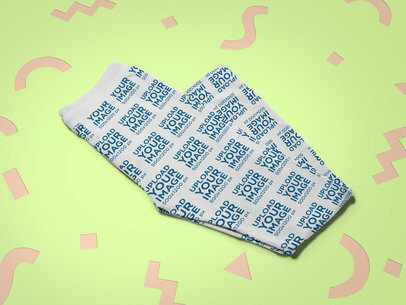 Just like this mockup of a folded pair of women's leggings surrounded by cut out paper shapes. So, what are you waiting for? Try out Placeit's leggings mockups and improve your marketing strategy right now! Take a look at this beautiful mockup featuring a girl wearing women's sports leggings while standing in a white room, it's a gorgeous visual that'll help you build a much stronger image marketing. All you have to do is use the HEX tool on the right side of the page, then upload your design using the button on the left. Awesome, right? Try out your design in these amazing women's running leggings now! Create a beautiful visual to promote your latest kids' leggings designs using Placeit's mockups! This amazing mockup is a great choice if you want to promote your design using a beautiful and customizable studio image that will help you make your leggings design stand out. Start now and make your revenue grow with cool visuals! Promote all your gorgeous legging designs using a stunning visual that will entice your customers by giving them an image they can relate you. Parents will love your designs shown in this cute image. Upgrade your business visual marketing campaign now using Placeit's amazing and professional mockups. 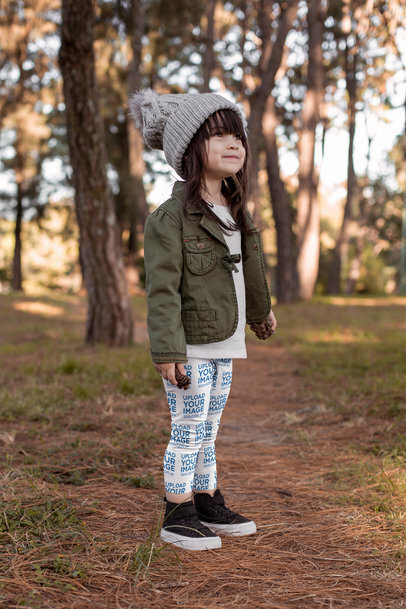 Get even more parents to buy your cute children's legging designs. 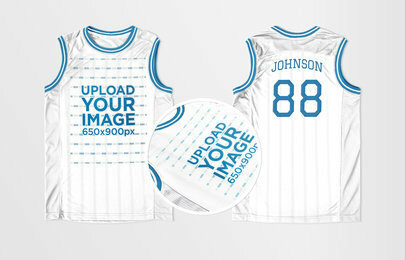 Placeit has these adorable kids mockups that you can make your own and promote your designs. The leggings will be the first thing people see, and you can even change their color. Cool, right? Try it out. Edit your leggings mockup now. 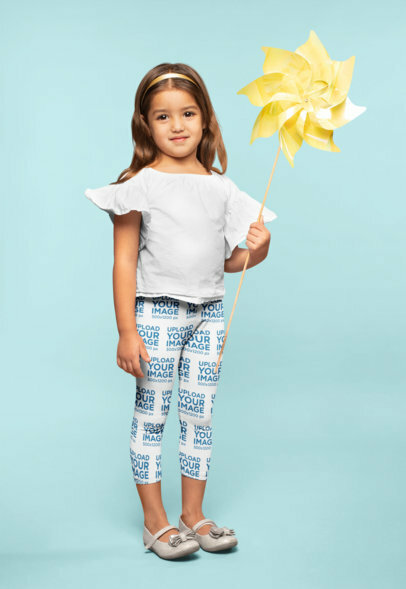 Showcase your amazing leggings designs using this gorgeous visual featured by a little girl holding a flower. This cute mockup is the perfect marketing tool for promoting your newest leggings designs to all your customers out there. So what are you waiting for? Begin using Placeit's mockups right away. Attract all those parent's attention with your amazing legging designs. 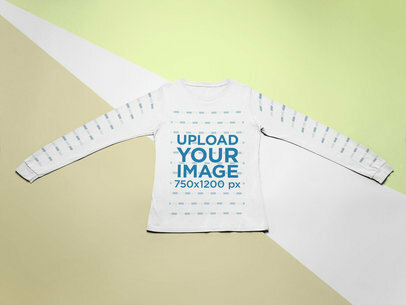 Placeit has a ton of cute mockups perfect for your children's clothing line. Like this one, featuring a cute little girl in a field. Your design will be the first thing people see and no expensive software is required. Try it out, it's easy. 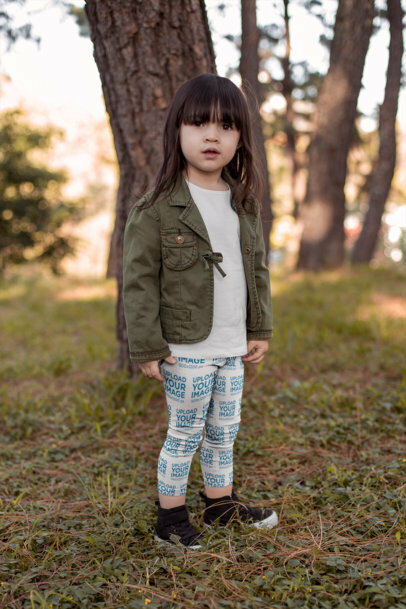 Got a ton of cute children's apparel designs? Start promoting them with Placeit and reach even more parents! Our mockups are super easy to use and don't require any additional software. You can even change the leggings' color. Your design will be front and center. Try it out now, it's easy! Create a gorgeous visual to promote your latest designs for a pair of leggings using Placeit's mockups! This one is a great choice if you are looking to promote your leggings design being worn by a girl while outdoors in nature. Start now using the best mockups in the market and watch your revenue grow after showing your designs in high-quality images! Showcase your latest legging designs using these cool mockups Placeit's made especially for you. Like this cute leggings mockup of a little girl playing in a yellow scenario with silver stars. It's a perfect marketing tool to promote your cutest legging designs using a beautiful and playful image that will entice your audience. Make a gorgeous visual to promote your designs for leggings using Placeit's mockups! This awesome visual is a great choice if you are looking to promote your designs using a leggings mockup that your audience will most surely love. Start now and promote your leggings design with professional mockups from Placeit! 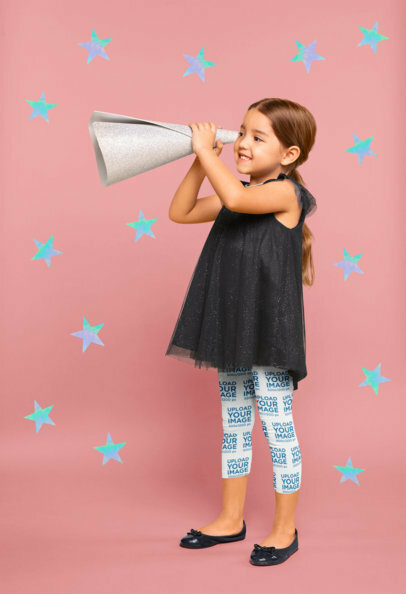 Reach even more parents looking for cute apparel designs for their kids! Placeit has a ton of mockups that anyone can use. This one allows you to change the leggings' color. Your design will be front and center and promoted in a super cute way. Try it out, it's super easy! Edit your leggings mockup now. Showcase your most amazing ideas with this closeup of a girl wearing leggings while at a studio. She'll not only be wearing your design in women's sports leggings, but she also has gorgeous legs. Start using this picture by choosing a leggings color with the menu on the right, then drag-and-drop a jpeg or png image file over the interface. A couple of seconds after that you'll see the processed image. Awesome, right? Create an amazing visual to promote your latest leggings design with Placeit! There are tons of visuals that you should be using for your image marketing campaign, start now by putting your design on them and watch your revenue grow after promoting your cool designs using a set of visuals that will put your brand on the spotlight. 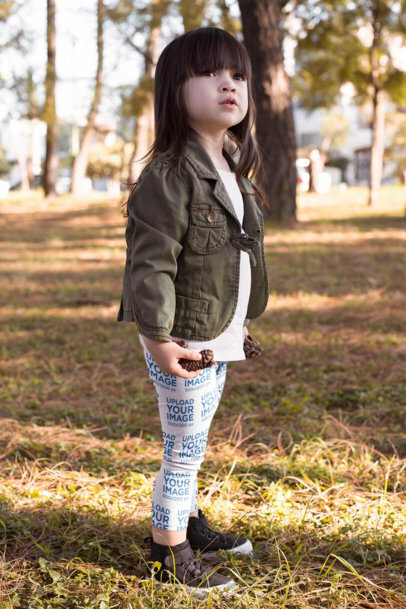 Start promoting your cute legging designs to all those parents out there. Placeit offers a ton of mockups that anyone can use. Your designs will be front and center. You can even change the leggings color. Cool, right? Try it out now! Edit your Leggings mockup now. Use now this cool visual from Placeit and promote your latest design for leggings using a gorgeous visual that will make your design stand out from the competition! 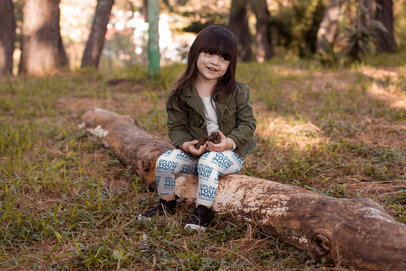 Start now, you will love seeing your leggings design on a beautiful image featuring a cute little girl against a flat background. Use Placeit and make your revenue grow with awesome visuals! 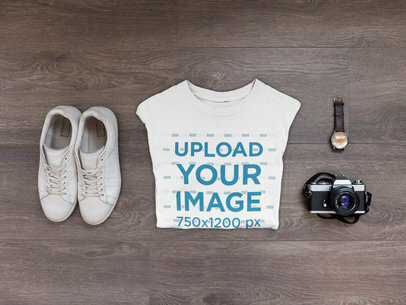 Promote your beautiful legging designs with Placeit's apparel mockups. Our mockups are made to be super easy to use and don't require any additional software. Cool, right? You won't even need to hire a graphic designer, everything is set up and ready for you. 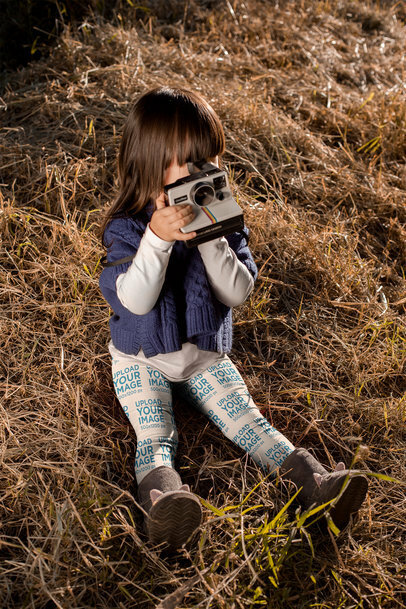 Try it out, captivate all those parents with your children's legging designs for little girls. 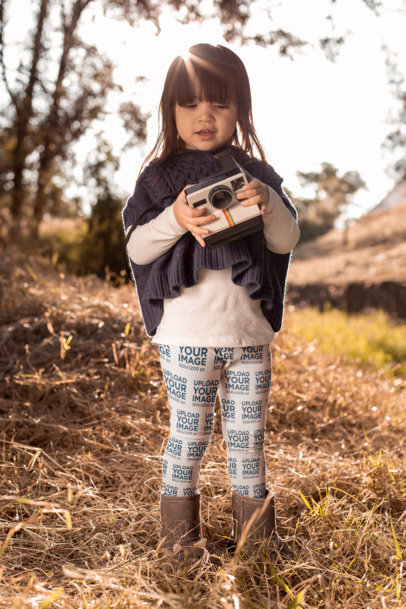 This cool visual featuring a little girl holding a polaroid is an excellent choice if you are looking to promote your latest design for a pair of leggings using a more realistic visual! 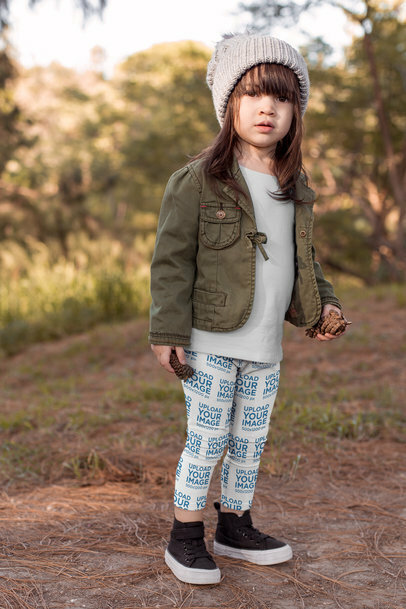 Showing your kids' apparel products being worn at a natural location is a great way to make your audience know what the design will really look like in real life. 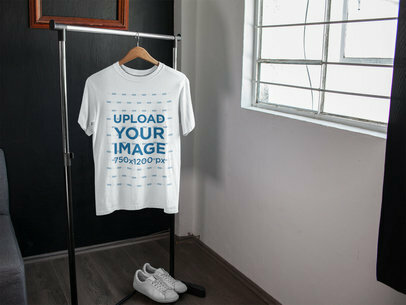 Create awesome visuals using Placeit's cool mockups! They're trendy, stylish and professional. Start with this beautiful leggings mockup of a surprised pretty girl over a pink background that your audience will adore. Start now using Placeit's beautiful leggings mockups and make your sales grow! 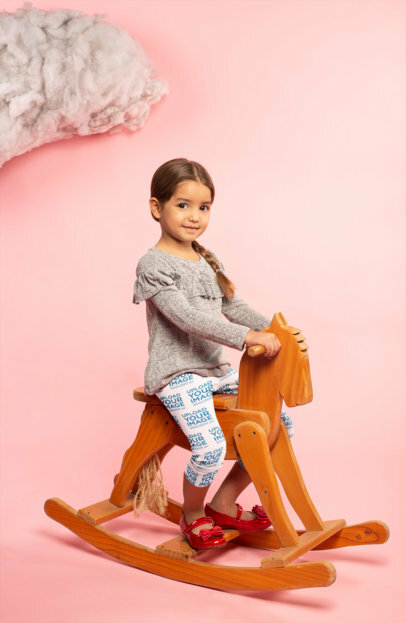 This mockup of a little girl sitting on a rocking chair while wearing leggings is an excellent choice if you are looking to promote a cute design for girls or kids in general. Start now, use this cool visual and promote your leggings design using a gorgeous image that will make your design really stand out! 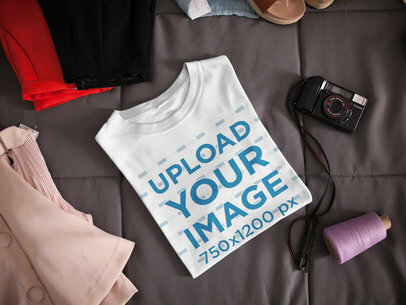 Use Placeit and sell more apparel products with great visuals. Get ready to promote your adorable legging designs with Placeit's mockups. Our mockups are super easy to use and don't require any expensive software. This one features a little girl holding a paper windmill. Super cute, right? What are you waiting for? Try it out now. Create an awesome visual to promote your latest design for leggings with Placeit's mockups! This cool mockup is an excellent choice for you to do that, featuring a little girl wearing leggings while sitting on a bean bag chair with a cool visual that your audience will love. Start now using Placeit's leggings mockups and make your sales grow! 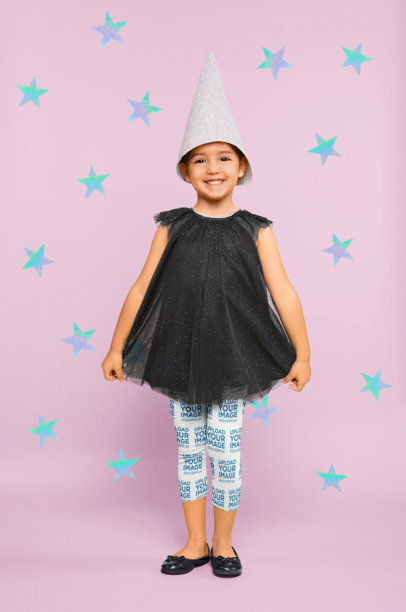 Making cute designs for children's apparel? Use Placeit and start promoting your designs! Our mockups are super easy to use and don't require any difficult or expensive software. This one features a beautiful little girl wearing leggings. Your design will be front and center and you can even change the leggings' color. Try it out, it's easy. Got your own beautiful legging designs you want to promote? Placeit's the place for you! We've got everything you need so you can showcase your designs in a visually attractive and amazing way. Start with this legging mockup of a pretty girl out in the countryside and watch your sales grow. Got some beautiful legging designs you'd like to promote? Look no further. Placeit's the right place for you! We've got all you need in order to start promoting your designs in amazing and gorgeous ways. Start showcasing your designs with this gorgeous mockup and watch your sales grow! 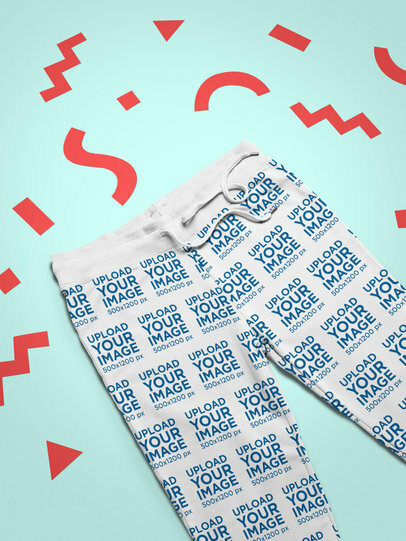 Promote your adorable legging designs with Placeit's mockups! This mockup features a beautiful girl out in the fall weather wearing leggings. Cute, right? Try it out for your design now, it's easy. Our mockups don't require any additional software. Edit your legging mockup now. It's time to start promoting those gorgeous legging designs you've got on your stock and see your sales grow! Placeit's exactly the place for you. We've got all you need for you to start promoting your designs in amazing and gorgeous ways! Start with this beautiful mockup and don't stop showcasing your designs! You can start promoting your beautiful legging designs and see your sales grow. 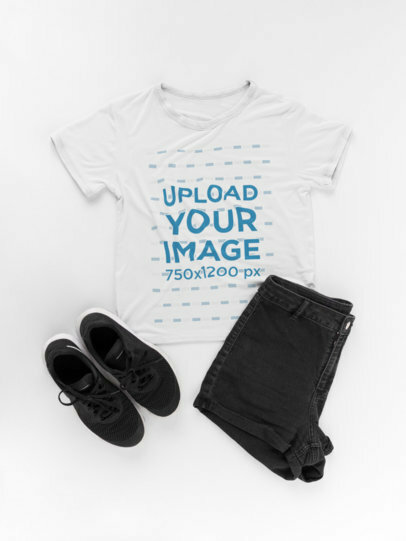 Placeit creates apparel mockups that are super easy to use, like this beautiful mockup of a little girl posing in her leggings. You can even change the leggings' color. Amazing, right? Parents will see your designs and keep on buying. Try it out. Create a gorgeous visual to promote your latest legging design for kids with this mockup from Placeit! This amazing visual is an excellent choice since it will let you showcase your leggings design using an image that your audience will most definitely love. 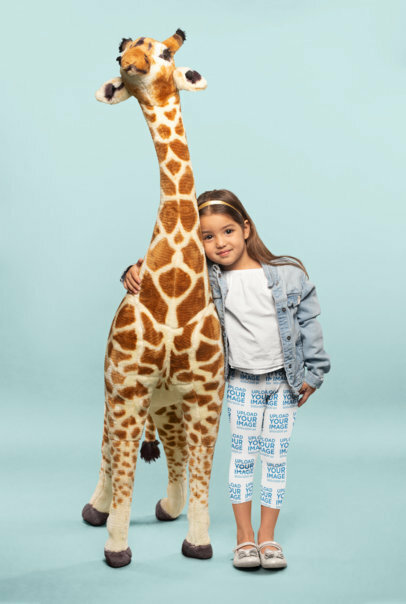 Having your kids' legging design shown in a realistic environment will let your audience know what your product looks like in real life! Put your original designs in women's leggings up in the air using this Leggins Mockup from Placeit. Promote your clothing brand with this fun picture, featuring nature, freedom, and girliness; and reflect your brand's identity with it! 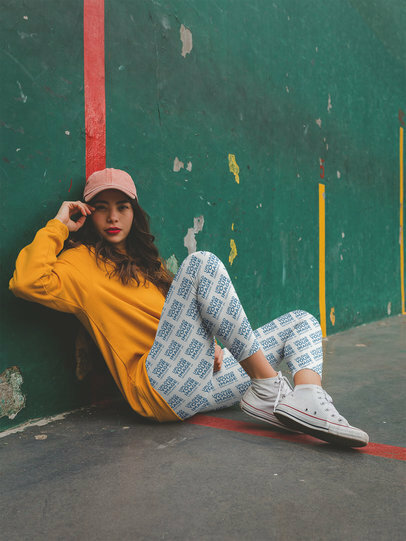 Take a look at this mockup of a girl dancing on the street while wearing women's running leggings, it's a gorgeous visual that'll help you promote your brand in a much more beautiful way. All you have to do is use the menu on the right to choose the leggings color, then upload your design with the menu on the left. Super easy, right? Check out this mockup featuring a girl standing on the tips of her toes while wearing women's running leggings, she's standing in a white room! This is a beautiful image that you can use to promote your own design, you can upload it with the button on the left side of the page. Don't forget to choose the leggings color with the hex tool on the right! Get all the other rebel girls to see your newest design in women's leggings with this mockup from Placeit. 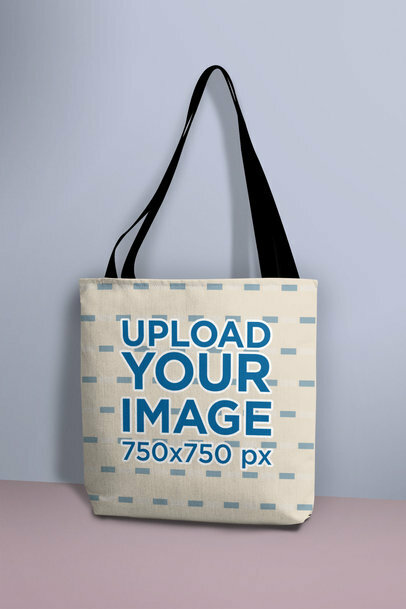 You just have to upload your design's image and Placeit will apply it in the picture for you; you don't even need Photoshop! Try it now, boost your sales and impress everyone.